Consultant job opportunities in Asia – Enjoy a new challenge in 2019! Have you ever considered working in Asia? 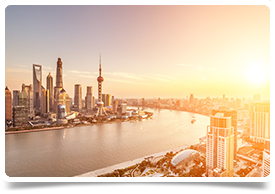 Many people have misconceptions about what living and working in China is really like but with opportunities to fast-track your career, live a luxurious lifestyle for less and work within a welcoming and friendly environment, China has so much to offer adventurous doctors. With cities like Seoul, Tokyo, Manila, Bangkok and Singapore all within 2–5 hours reach, you can also make the most of your spare time getting to know this fascinating region! (Please note, if you don’t see your speciality currently listed however want to explore opportunities in China, feel free to contact me for an informal chat). PLEASE NOTE ALL APPLICANTS MUST HOLD A CLEAN MEDICAL LICENSE AND BE FLUENT IN ENGLISH, TO BE CONSIDERED (Chinese language skills are a bonus but not essential, unless specified).